Amid reports that the president attempted to fire Special Counsel Robert Mueller last summer, and questions surrounding the validity and release of the controversial Nunes memo, Sen. Mark Warner has revealed that a host of “important new documents” were received by Congress late last year. The new documents signal that the Russia investigation that has hung over the Trump administration for almost a year is far from concluding. 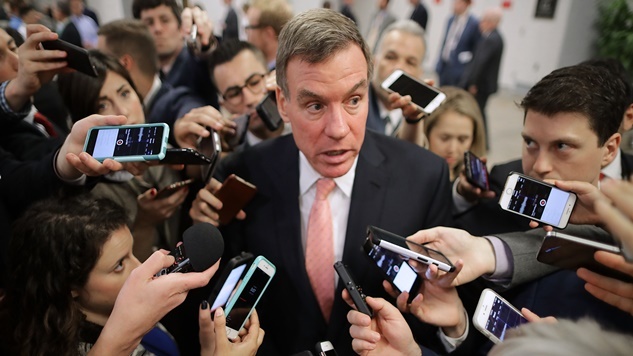 In an exclusive interview with Politico, Warner, the top Democrat on the Senate Intelligence Committee, revealed that the new documents “had new information that raises more questions.” While the documents contain “very significant” information, Warner stated that the committee’s focus is on “trying to corroborate or not” the “veracity or truthfulness” of the revelations contained. As the committee works through its investigation, Warner posits that “virtually every member of our committee, Democrat or Republican, would agree,” that the facts of the case solidify the charge that Russian intervention was present during the 2016 campaign and worked to influence the election on Trump’s behalf. “Senator Burr and my Republican colleagues, they’ve looked at the same facts I’ve looked at, and we may have areas where we disagree on conclusions, but we don’t disagree on facts,” said Warner. The bipartisan agreement flies in the face of continued attempts by President Trump to discredit the claim of a Russian presence during the 2016 election cycle. Warner also had strong comments regarding the “coffee boy” moniker utilized by the White House to distance and discredit former foreign policy adviser George Papadopoulos. “I don’t know any coffee boy in any campaign that I’ve been involved with that had direct communications with the absolute senior leadership with the campaign,” said Warner.